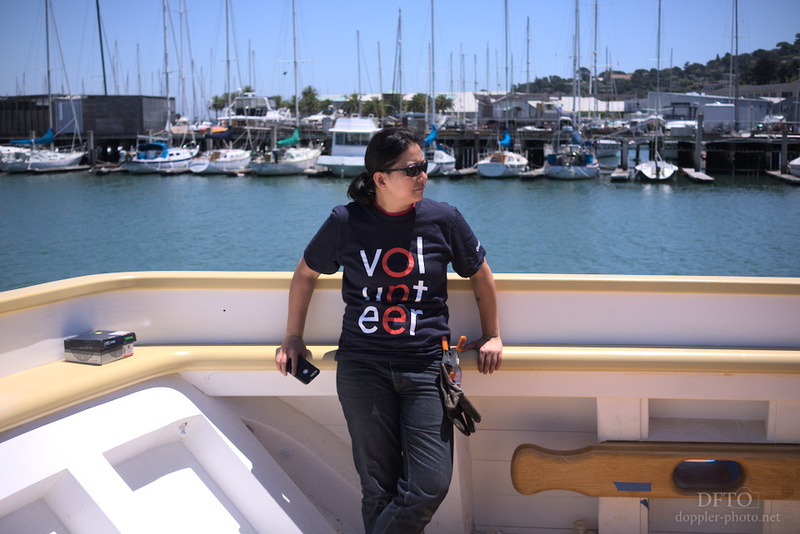 Last week, I and a number of other Googlers answered the Call of the Sea, volunteering time, labor, and a bit of ingenuity to further the construction of the Matthew Turner, a historically-inspired tall ship being built in Sausalito. At the time of our visit, the ship was already in the water, but was still lacking essential components like the masts and sails. Which was the first place for us to help. The ship has two masts, each with upper and lower sections. Most of the large wood components were initially built as laminations (stackups of smaller pieces of wood), which were then iteratively profiled to reach their final shape. 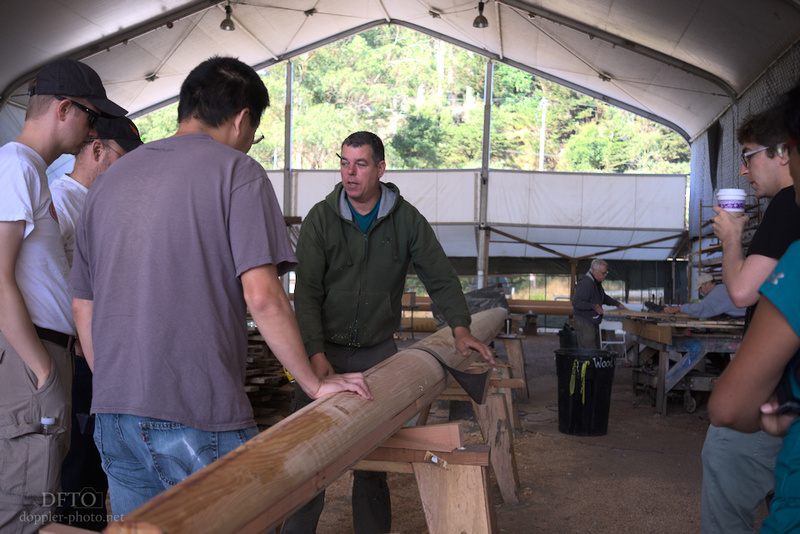 The masts were no different — the initial lamination was roughly profiled by the shipwrights working on the project, and we were tasked with sanding to help bring the masts to final shape and size. 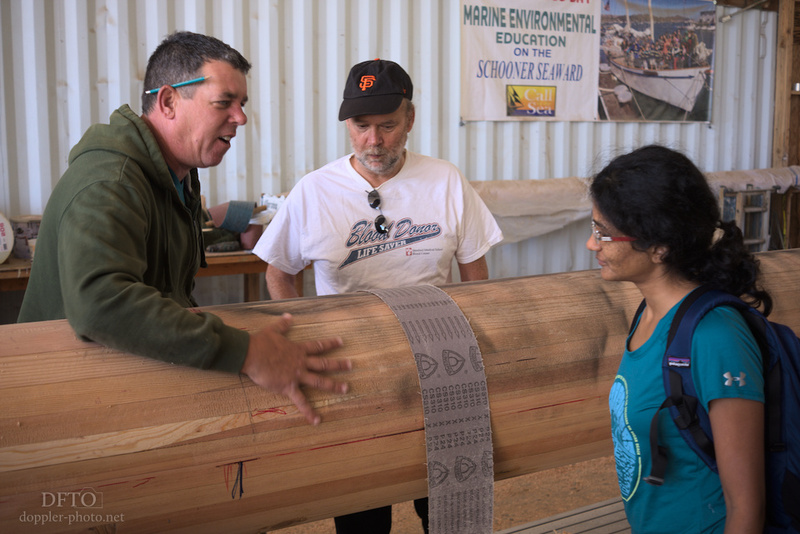 For each task, a shipwright or other long-time participant would give us tasks, show us how to do them, and then let us loose. 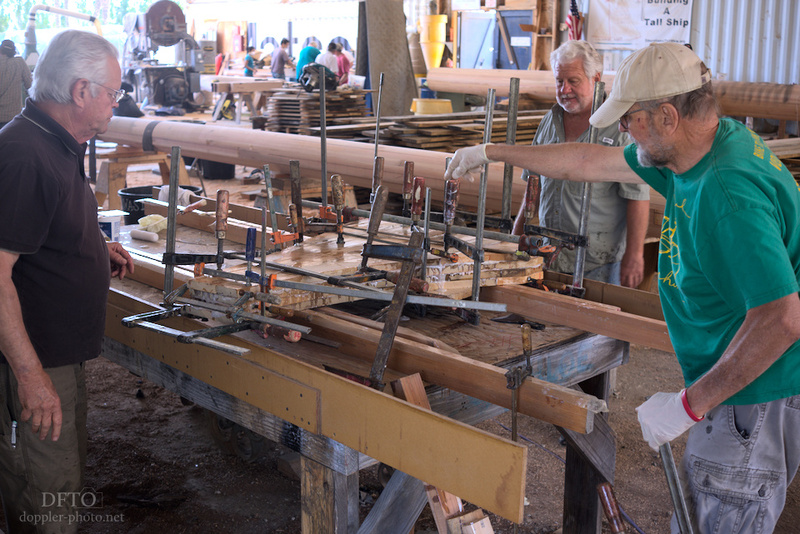 Here, shipwright Richard O'Keefe shows us how the sanding process works — using a "guide coat" of spray paint to see the high spots come down to the low spots — and how to feel the mast and judge when a section is finished. This is how the lamination process begins. 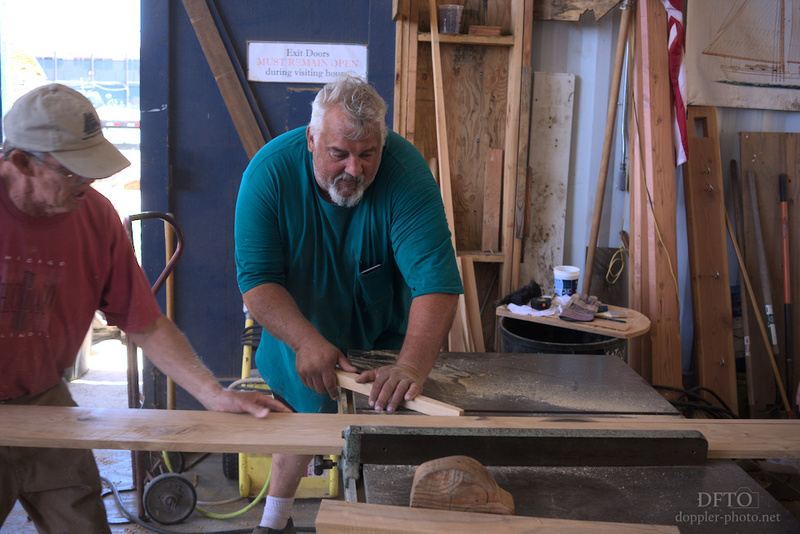 A group spent most of the day using a table saw, a jointer, and a planer to shape the incoming lumber to specific dimensions. The final boards finished at different lengths, which made them useful for a variety of different purposes. And just like with the masts, those boards would be cut, stacked, and fit into rough shapes matching their final purpose. The stackups would be glued and clamped, and once the laminations were dry, they would be sanded and finessed into their final dimensions. Everything about the Matthew Turner is anchored in the past, but imbued with a sense of how that history fits into the present day. During a pause in the work, a project member took us through the ship, explaining the plans to accommodate up to 30 people and 8 permanent crew on expeditions that would teach people old and young about the history of sailing and seamanship. 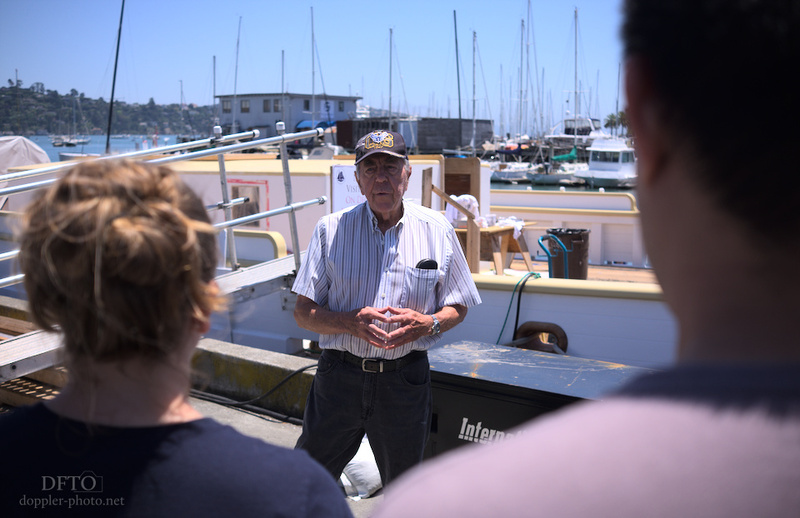 The ship's namesake, Matthew Turner, was a prolific San Francisco-area shipwright through the late 19th century, and the ship we helped build was designed after Turner's own "Galilee." Our guide pointed out the combination of historical construction techniques and modern technology — for instance, the ship has 70,000 lbs of lead ballast, but also incorporates a pair of electric motors that can use the ship's twin props for propulsion, or for power generation while the ship is under sail. All told, it was a fun day to revel in how things used to be, how far things have come, and the process and culture that influenced those transitions.